A few weeks ago I ordered some swatch stick from eBay. I got them last week, so this weekend I sat down to paint them. It actually didn’t take that long to paint all 51 sticks (I ordered 50 and got one extra!). I swatched the Hello Kitty collection, the Venice collection, 2/3 of the Starlight collection and a few selected shades just to compare them with some polishes from the Hello Kitty collection. 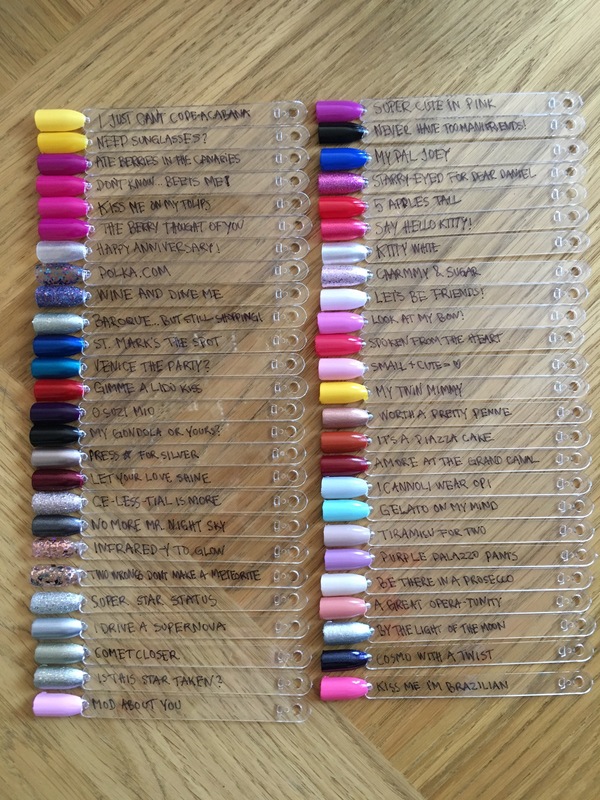 Now 150 additional swatch stick are on their way and when they are used up I’ll have to buy some more. I think I will have to take it in turns… and so far I’ve only thought about my OPI polishes. I use them the most and they are the ones I have the most of. I dare not say how many I have (in my ever growing collection). But it’s a lot, and if you put two and two together you have already figured out that I have more than 200. Crazy! !